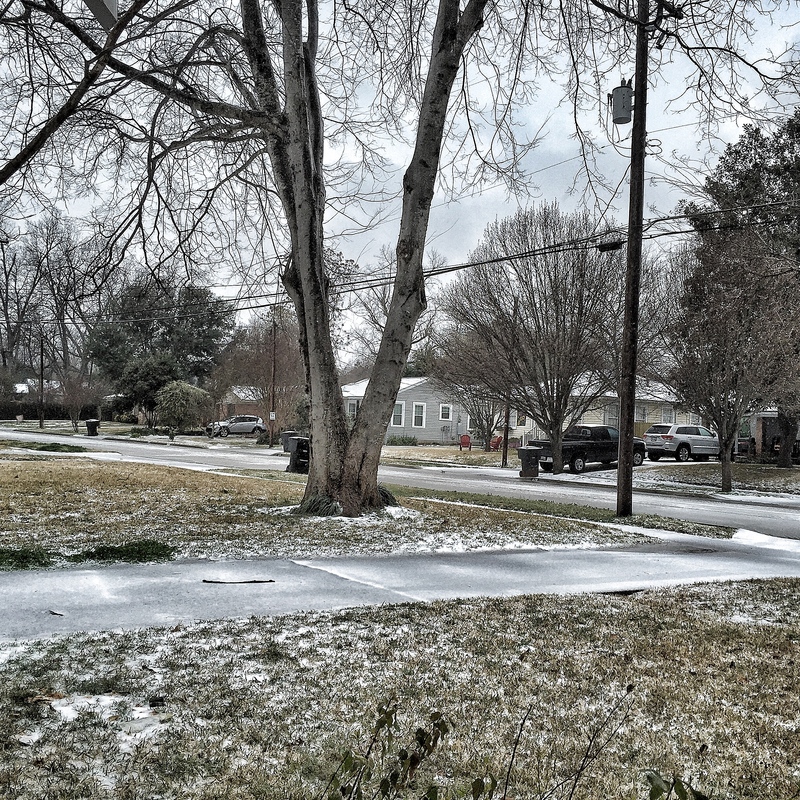 Today we are getting a winter blast here in Shreveport. The streets are slushy, slick, and dirty; the sidewalks and roofs are white. Just a week or so ago it seemed like spring was here, like soon all of our surroundings would burst into new life. The same happens in our life of faith. Just when we seem to be moving forward, when we seem to “get it,” and when we seem to finally be getting ahead, the winter returns with a vengeance. It would be easy to get discouraged, to not even try to connect anymore to stick to the postures that we know will bring renewed life, to no longer stick to our lenten disciplines. He throws down hail like stones falling from a mountain. It turns our that the psalmist knows all too well our struggle. In the midst of praise the winter returns and there is the temptation to give up, to walk away, to convince ourselves that new life is impossible to attain. I invite you on this wintry day to spend some time looking out your window and meditating on Psalm 147. Take it all in, pause as words, phrases, and something in the view get your attention. Ask God to help you become aware of the places in your soul that are filling up with hail, icing up, and becoming desolate again. Lift those places up to God and let the “thawing” of our souls begin . . .
Today I lift the people called Grace Community in my prayers. May God help us pay attention to the thawing happening around us, may we not get distracted by the blast of winter nor be discouraged, for the promise of new life is coming! Cannot wait to gather with all of you this weekend!! Bible in 90 – Day 66: May God Hate You!